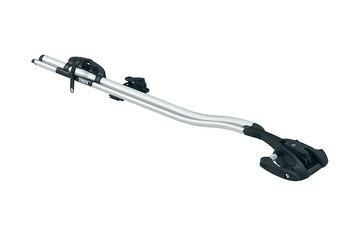 A Thule roof bike rack carries your bike wherever you go. Let us help you find the ideal fork, frame, or wheel mounted bike roof rack for you and your bike. Low-profile fork-mount bike rack for security, convenience, and aerodynamic styling. 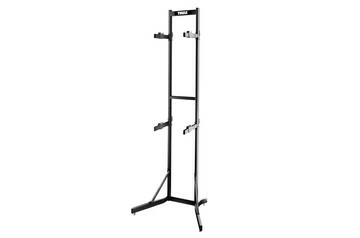 Transport your bicycle quickly and safely with this lockable fork-mounted bike rack. 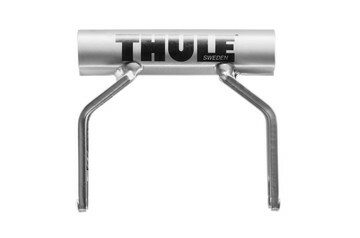 *Not compatible with Thule Aeroblade bars. Easy-to-load fork-mount tandem bike rack. 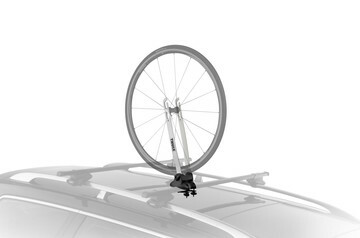 Please note that you need a roof rack in order to mount a roof bike rack on your car. 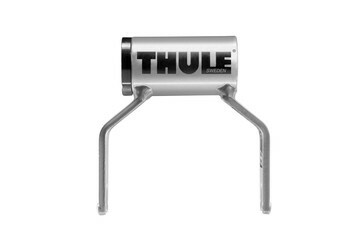 Patented adapter design allows you to carry 12mm front thru-axle forks on existing Thule and most other fork-mounted bike rack. 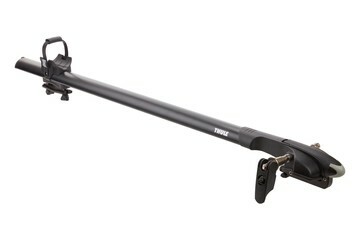 Patented adapter design allows you to carry 15mm x 110 front thru-axle suspension forks on existing Thule and most other fork-mounted bike racks. 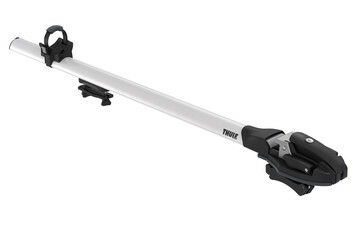 Patented adapter design allows you to carry 15mm front suspension forks on existing Thule and most other fork-mounted bike carriers. 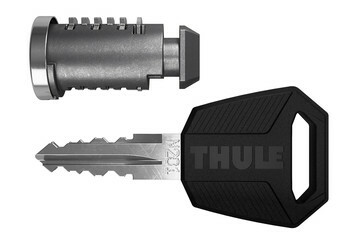 Patented adapter design allows you to carry 20mm front suspension forks on existing Thule and most other fork-mounted bike carriers. Patented adapter design allows you to carry Lefty front suspension forks on existing Thule and most other fork-mounted bike carriers. 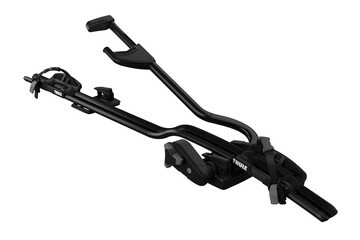 The roof bike rack range from Thule gives you a full choice of different mounting and loading/unloading options. With everything from fork-mounted carriers that include thru-axle options to frame or wheel mounted roof bike racks. 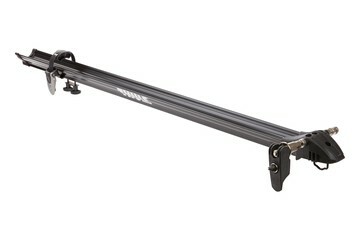 If you already have a car roof rack, it may be a more convenient choice as you only need to add the bike roof rack. 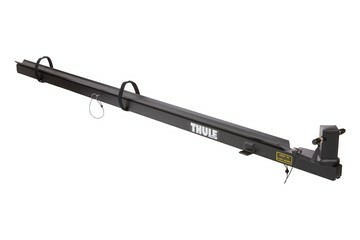 Each roof bike rack from Thule ensures your bike will get where you’re going without damage. Plus it is easy to load and unload even when you’re on your own. There is also a choice to suit your bike and how you want to transport it. 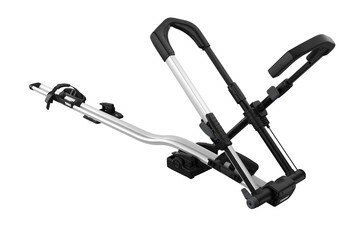 Choose from fork-mounted carriers that include thru-axle options to wheel-mounted or “frame-hold” designed roof bike racks for a quick, precise hold and a more stable ride. Our roof bike racks are tested extensively in the Thule Test Center™ – a state-of-the-art facility for testing bike roof racks to the limit and beyond. They are also designed for maximum ease of use with many smart features added during development. You can be confident that your roof bike rack will carry your bike safely and securely wherever you want to go. And you’ll be in the saddle as quickly and easily as possible.